FRAMED PRINT. 22x18 inch (56x46cm) Framed Print with Black Satin with Off-White Digital Mat. Artwork depicting GOLIGHER STRUCTURE. 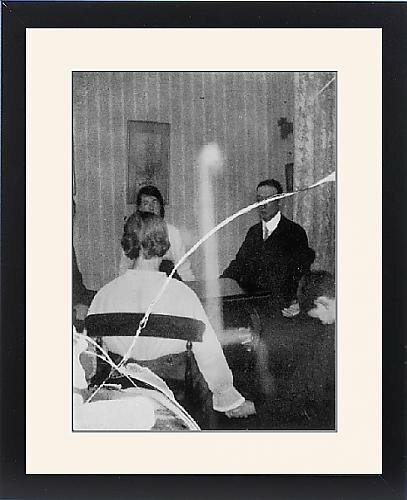 At the Goligher circle, Belfast, Kathleen creates a psychic structure , supposedly from ectoplasm (the crack is in the original glass plate which was dropped). Professionally made to order in the USA. Artwork Description... At the Goligher circle, Belfast, Kathleen creates a psychic structure , supposedly from ectoplasm (the crack is in the original glass plate which was dropped).